Today I have swatches of a polish from Born Pretty Store... The polish is called Leisurely, and it's part of the Melody Life Series. Which is one of BP's newer collections - in the new shape bottles. 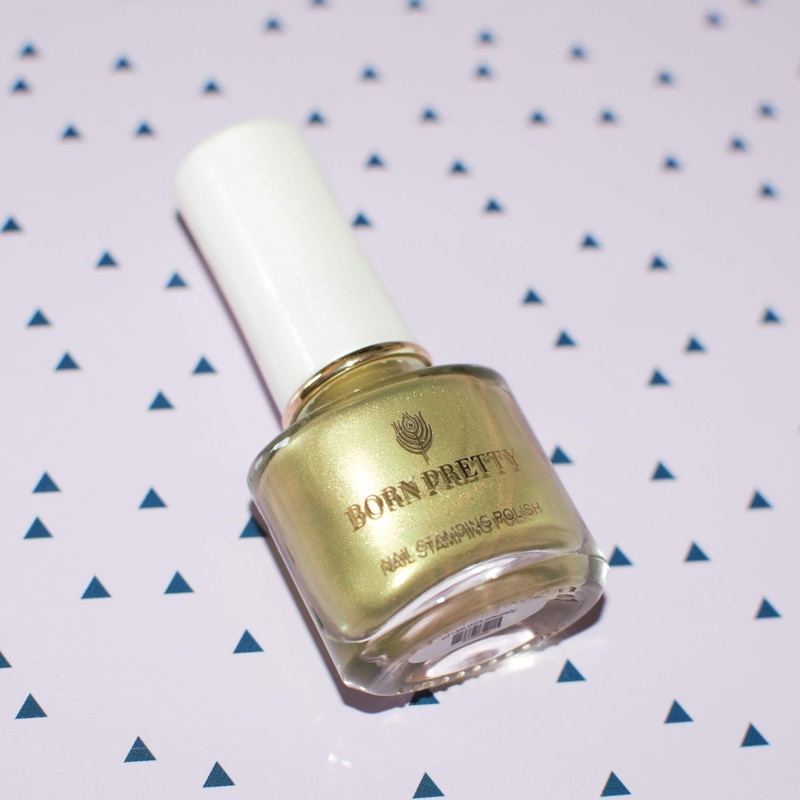 This is the first polish I have tried from Born Pretty since they introduced the new bottles, and I have to say... I love the new bottles!! The polish comes in a cute box new and I love the new, longer neck of the bottle, it makes application so much easier than the other short, round bottles. This specific polish is a stamping polish, so it is very opaque and can be worn with just one thick coat, although I prefer two thinner coats. As a stamping polish is works great, the designs pick up well and the polish is opaque over even dark colours. I adore the shade, I love this type of green (even though I don't know how to describe it). Plus it's super shimmery! !